Children are definitely the most highly teachable population. As parents, we often look for ways our children can spend quality and at the same time fun free time. Relaxation and children meditation are becoming more and more popular. 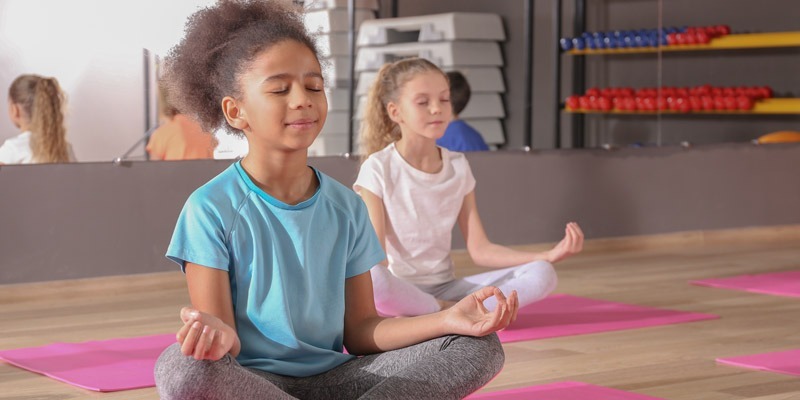 In Karnion, children can learn meditation and mindfulness using the Karnion superlearning method of language learning. You and your child are warmly invited to get to know the method personally, experience its benefits in a free lesson and then make an informed decision. Places are limited. The Karnion method uses a pleasant yellow light that heals and soothes, like the sun. Children relax while listening to pleasant baroque music, which further boosts their potentials, and simultaneously listen to a foreign language. In the next lesson, they actively speak about the contents listened to with the teacher. The most important thing when teaching children is to awaken in them the joy of language learning and in this way make them speak. Consequently they gain self-confidence not only in the area of foreign languages but also in other areas of their lives. Parents bring children to the summer school at 8 o’clock in the morning. We offer individual lessons, pairs and groups of three. The later two will be carried out on condition that there are enough candidates for each level. Children have language lessons between 8.00 and 11.00 o’clock. Then they can participate in other activities and have a rest. The lessons start again at 2.15 and last until 5.15 p.m. In this way your child will be in safe hands until you finish with your work obligations. The Karnion summer school for children is much more than conventional learning. The below statement of a mother clearly confirms that. I would like to thank you for helping my son Dani to develop his speaking skills. Dani suffers from a mild mental disorder and was not able to say a complete sentence without learning it in advance for oral tests. We have noticed that since he started attending lessons in Karnion, also his Slovenian speaking skills have developed. He has improved his grade in English for a whole level. This year is the first time for him to be able to say complete sentences and express his feelings and thoughts at home. He tells us that he is well-liked and supported by his fellow students. Due to the fact that learning materials in the seventh grade are very extensive, we have decided to work on Dani’s stronger sides. He is very fond of crafts. Dani is becoming more and more independent. This year he started studying without external encouragement and he is getting his own grades. The candidates are tested before the course and placed into a suitable group according to their level of the language. Summer school will take place every week between July 24 and August 27. The above prices apply on condition that there are enough candidates for individual levels (A1 – B2).